The Camden Riversharks today announced that the club will cease operations immediately due to an inability to reach an agreement on lease terms with the ballpark's owner, the Camden County Improvement Authority (CCIA). "We have been working in good faith since the CCIA purchased the ballpark this summer," noted Riversharks GM Lindsay Rosenberg. "Unfortunately, we have been unable to reach an agreement in time to be included on the 2016 Atlantic League schedule." 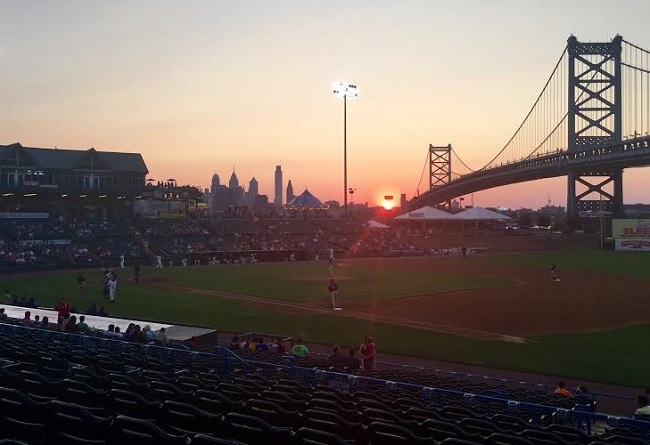 The Riversharks have called Camden home since its inception in 2001, and the Campbell's Field has twice been named Baseball America's "Ballpark of the Year." Over 3.5 million fans have attended Riversharks games over the past 15 years. "We would like to thank our partners and fans for supporting the club for 15 memorable seasons," added Rosenberg. "We did everything we could to keep affordable, family entertainment alive and well in Camden." A final team merchandise sale will be held at the ballpark on Thursday, October 22, Friday October 23 from 9:00 am - 5:00 pm, and Saturday, October 24 from 9:00 am - Noon. For further information on baseball in Camden, call 856-751-2242 or emailjustask@camdencounty.com.